Whenever we travel around the world, I love keeping an eye out for “things Mississippi River.” We recently participated in the 70th anniversary of the D-day landings on the beaches of Normandy France. 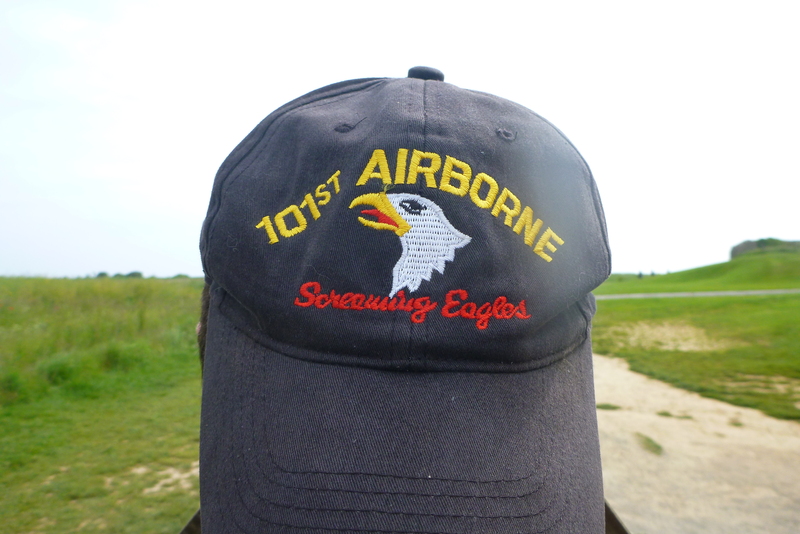 Among the Americans landing at Omaha Beach were the 101st Airborne Division whose logo is Wisconsin’s own “Old Abe” the eagle! We saw the “Screaming Eagle” displayed on hats, uniforms and even a French storefront! Old Abe was a mascot during the Civil War for soldiers from Eau Claire and La Crosse, Wisconsin. Abe eventually followed the soldiers for over 14,000 miles, and flew unfettered, above 36 battlefields in Missouri, Mississippi, and Louisiana throughout the Civil War. 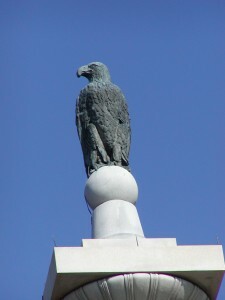 Abe’s statue today sits above the Wisconsin monument at the Civil War battlefield in Vicksburg, Mississippi. Confederate sharpshooters were always assigned to bring down that “screaming ol’ buzzard.” Abe survived and was cared for at the Wisconsin state capitol by Wisconsin veterans until his death in 1881.